A blueprint is the master template of any process. A blueprint establishes the steps that need to be repeated each time a process is carried out. A blueprint should have all the steps you want future processes to follow. 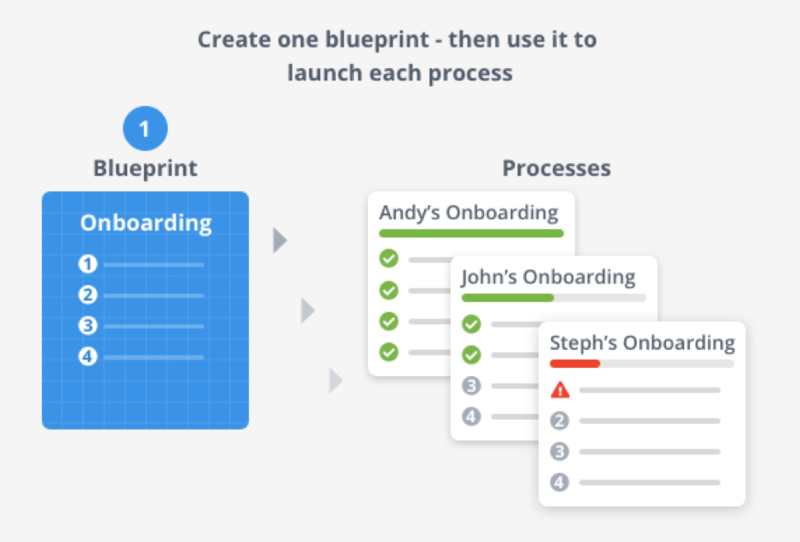 Steps in a blueprint are actions which describe: what needs to be done, how, when and by whom, using the step settings: Details, Forms, Assign. Deadline, Rules and Advanced. All the steps in that blueprint turn into actionable tasks when a user starts a process.